FullStack Development And Testing: How to push local file to s3 using AWS CLI ? 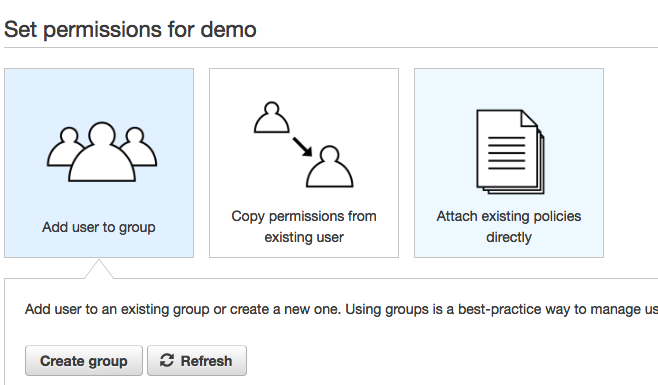 1) Create an user with access to s3 using aws IAM service. ii) Visit the Users section and click on "Add User"
iii) Enter the user name (for ex: s3-user or demo in my example) and check the Access Type as Programming Access and click "Next Permission"
iv) Attach Policy (so that user can access s3) by clicking "Attach Existing Policies directly". Note : If you want you can create a group and attach user to the specific group having necessary permission. v) Choose the policy "Amazons3FullAccess"
vi) Review and Click "Create User"
2) Come to the Mac console and type "aws configure"and enter the keys details. Check the AWS s3 console. 4) Copy local file to s3 bucket. Blog with more latest info stuffed. Thanks for sharing with us.